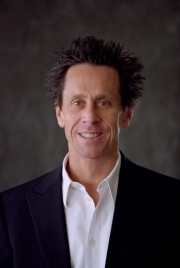 Brian Thomas Grazer is an Academy Award-winning American film and television producer who co-founded Imagine Entertainment in 1986 with Ron Howard. Together they have produced many acclaimed films, including Apollo 13 and A Beautiful Mind . Brian Grazer began his career as a producer developing television projects. While executive-producing TV pilots at Paramount Pictures in the early 1980s, Grazer met current long-time friend and business partner Ron Howard. He produced his first feature-film, Night Shift, in 1982, directed by Howard. Grazer and Howard teamed up again for Splash in 1984, which Grazer produced and co-wrote, the latter earning him an Oscar nomination for Best Original Screenplay of 1984. In 1986, Grazer and Howard co-founded Imagine Entertainment, which continues to be one of Hollywood's most prolific and successful production companies. Over the years, Grazer’s films and TV shows have been nominated for a total of 43 Academy Awards and 131 Emmys. At the same time, his movies have generated more than $13.5 billion in worldwide theatrical, music and video grosses. Grazer’s early film successes include Parenthood and Backdraft . He produced Apollo 13 , for which he won the Producers' Guild’s Daryl F. Zanuck Motion Picture Producer of the Year Award as well as an Oscar nomination for Best Picture of 1995. In 1998, Grazer earned two major honors that attested to his fame: he was given his own star on the Hollywood Walk of Fame, and made a cameo appearance on the animated series The Simpsons. In 2001, Grazer won an Academy Award for Best Picture for A Beautiful Mind, which also took home Oscars for Best Supporting Actress , Best Director , and Best Adapted Screenplay . In 2002, Grazer’s 8 Mile was released. It proved not only to be a huge box office hit, but also the first film with a rap song to win a Best Original Song Oscar for Eminem’s "Lose Yourself". Grazer also produced the film adaptation of Peter Morgan’s play Frost/Nixon, directed by Ron Howard. Frost/Nixon was nominated for five Academy Awards including Best Picture. Grazer’s productions span over a quarter-century and almost the full spectrum of movie genres. His comedies include Boomerang , The Nutty Professor , How The Grinch Stole Christmas , Intolerable Cruelty , and The Dilemma . He has also produced many dramatic thrillers to include Inside Man , The Da Vinci Code , American Gangster , Changeling , Angels and Demons , Robin Hood , and Cowboys and Aliens . His recently released films include J. Edgar, the Clint Eastwood-directed biopic of J. Edgar Hoover, starring Leonardo DiCaprio, Tower Heist, starring Ben Stiller and Eddie Murphy andRestless, directed by Gus Van Sant. Grazer’s Imagine Entertainment’s television series include Sports Night, Felicity, Arrested Development, 24, Friday Night Lights, Parenthood, and Lie To Me. Grazer was born in Los Angeles, California to Arlene and Thomas Grazer. He is the older brother of Nora Beth Grazer and of actor/director Gavin Grazer . He was married to Theresa McKay from 1972-79. From 1982-1992 he was married to Corki Corman Grazer. They have son Riley and daughter Sage . He was married to Gigi Levangie from September 20, 1997 to June 8, 2007. They have two sons together, Thomas and Patrick . Grazer currently resides in Malibu, California. Whole or part of the information contained in this card come from the Wikipedia article "Brian Grazer", licensed under CC-BY-SA full list of contributors here.